Each large egg contains about 185 mg of cholesterol in the egg yolk. It is recommended that about 300 mg of cholesterol should be the limit of intake per day. Eating two full eggs already surpasses that limit. However, new research has indicated that cholesterol intake in food has little effect on blood cholesterol levels in the body. 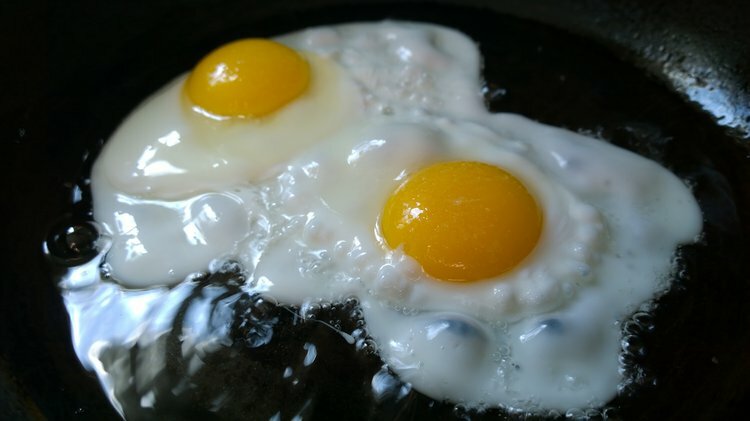 Cholesterol seems to be almost always associated with conversations regarding eggs and their health benefits and disadvantages. Despite this negative banter, there are several health benefits to consuming eggs. Each large egg contains about 185 mg of cholesterol in the egg yolk. It is recommended that about 300 mg of cholesterol should be the limit of intake per day. Eating two full eggs already surpasses that limit. However, new research has indicated that cholesterol intake in food has little effect on blood cholesterol levels in the body. Fernandez conducted a study showing that moderate egg consumption has no effect on heightening the risk for heart disease in healthy individuals. You should consider the fact that cholesterol is one of the most important nutrients in the body, as it is required in all cell membranes, necessary for the production of various hormones and needed for growth in infants, as well as adults. If you are currently trying to regulate your cholesterol levels, you should consider eating egg yolks more sparingly, selecting egg whites as an alternative. Those who are suffering from heart disease or diabetes should limit their intake of egg yolks as well, such as a limit of 3 yolks per week. In a study by Blesso, Andersen, Barona, Volek, and Fernandez, participants who ate 3 egg yolks a day, while on a diet plan, experienced weight loss and decreased inflammation. These participants also experienced improved or maintained blood cholesterol levels. Although egg whites contain a valuable source of protein, egg yolks contain crucial nutrients such as calcium, phosphorus, iron, zinc, folate, thiamin, B6, B12, and essential omega-3 fatty acids.